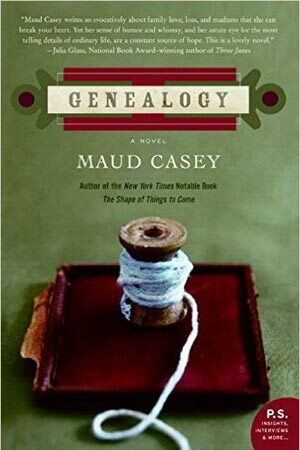 Maud Casey is the author of the new book The Art of Mystery: The Search for Questions. Her other books include the novels The Man Who Walked Away and Genealogy. 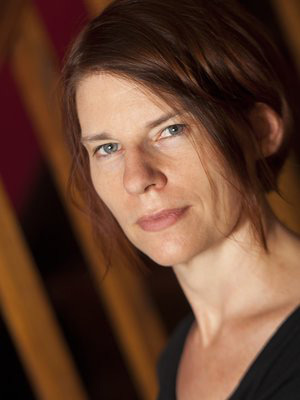 Her work has appeared in a variety of publications, including The New York Times Book Review and Salon, and she teaches at the University of Maryland. 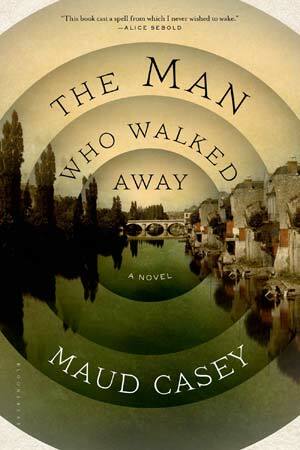 She lives in Washington, D.C.
Q: What inspired The Art of Mystery, and how did you decide which authors to write about? A: I’ve long been an admirer of Graywolf’s Art of series—meditative wanders by authors on various subjects related to poetry, fiction, and nonfiction. I use them when I teach fiction (The Art of Intimacy, Time, Perspective, Daring, among others) and I read and reread them on my own. Criticism is as deeply personal as writing. What moves us? What should art be and do? The Art of books are intimate glimpses into a reading and, so, a writing life and, so, a life. Mystery was a subject I’d been thinking about for a long time without fully realizing it. There’s a long history of people much wiser than I am who have thought about this elusive literary quality. I’m sure Aristotle had something to say about it, Flannery O’Connor wrote a book about it (Mystery & Manners), but it’s James Baldwin who provided the line that guided me as I wrote. 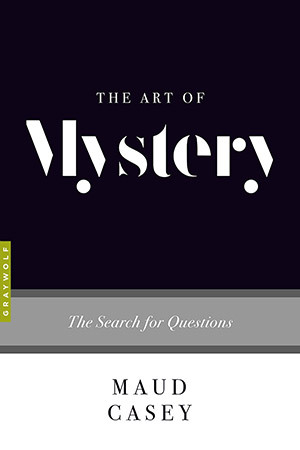 “The purpose of art is to lay bare the questions hidden by the answers.” If mystery, the genre, is about finding answers, then mystery, the elusive literary quality, is about finding questions. As for how I decided which authors to write about, it’s a bibliophilic mixtape. They are books that affected me, and continue to affect me, on a profound level because of their abiding interest in laying bare the questions. This laying bare of questions is always important, no less so in the reign of Trump, the “stable genius.” Certainty can have the whiff of piety about it and piety is a dangerous thing, in politics and in art. Q: How did you come up with the idea of the Land of Un? I was in a car accident several years ago and as my car spun out across several lanes of oncoming traffic to Lee Dorsey’s “A Lover Was Born,” I had a moment of reckoning, as one does in moments like that and thought, oh, right, I’m an atheist. When I was lucky enough to walk away unscathed, and to go on living, I thought, I’m an atheist and/but, oh right, my variety of religious experience is reading and writing. They undo me. And, so, the Land of Un. Uncertainty, unfathomability, unknowing, which is what the sort of fiction I love best does to me. Un doesn’t merely turn a word into its opposite; it’s a release, a metamorphosis. I should say here, lest I start to sound a little too la la and ephemeral, I’m not anti-fact. I’m a big believer in facts! Pro-fact, here. Still, I like to travel often to the Land of Un. Q: What are some of the most compelling ways that a fictional character can seem mysterious? A: The late William Gass (RIP) said that the purpose of art is the creation of consciousness. Fiction is, in many ways, the province of consciousness. It’s one of its particular gifts to us. What is more mysterious than the inimitable warp and weft, the texture, of a particular mind? To capture that private, secret aspect of a self, the part no one else has access to (intense, this human condition) that’s what making fictional characters is all about. So, like, that’s one way? It’s hard, right? That’s why I devote two chapters to it in the book. One is about the secrets characters keep from the reader; the other is about contradictory, difficult characters (often referred to as unlikeable but I unlike that word). I’m following E.M. Forster’s lead. In his Aspects of the Novel, he has two chapters on character, one called “People” and another called “People, continued,” which seems exactly right. Fictional characters should be every bit as mysterious as people, and people, continued. Q: How has focusing on mystery affected your own fiction writing? A: That’s a great question to which I’m not sure I have much of an answer. I’m not just being dodgy. It’s easier, I think, to talk about mystery in other people’s work than to talk about the way it operates in one’s own work. I loved the opportunity to formalize my thoughts about this aspect of literature that is, really, for me, at the heart of it all. To see, oh, this is what made me a writer. Actually, first a reader, and then a writer. How that will affect my writing, that’s something else altogether. I guess we’ll see? A: Photography plays a big role in The Art of Mystery. Spirit photography, the work of Vivian Maier, the work of a wonderful Flemish photographer Alexandra Cool. Also, fiction that incorporates photography (there’s a section on Sebald’s The Rings of Saturn). As it turns out, maybe not so surprisingly, I’m working on a collaboration with the photographer Laura Larson that grew out of our shared interest in the 19th century medical photographs of women diagnosed with hysteria by Charcot at the Salpêtrière in Paris. Diagnosis is a useful tool, for sure, but it’s also an answer that can almost always do with some unravelling. --Interview with Deborah Kalb. Here's a previous Q&A with Maud Casey.